Coloured diamonds are known in the jewellery trade as “fancy diamonds”. They are available in an array of colours, tones and saturations – some are certainly more rare than others, but overall coloured diamonds are far more rare than their white counterparts. 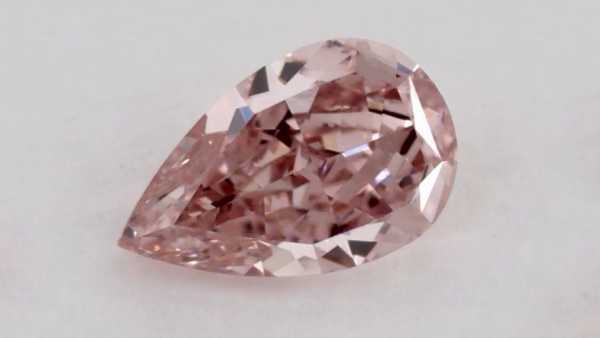 Unlike white diamonds and their GIA certificates, it is ideal to view a video of a coloured diamond before you choose so you can see how it looks while it moves because colours and their saturation can vary so greatly. Coloured diamonds tend to rely on a more intuitive response, rather than a technical diamond grading report. 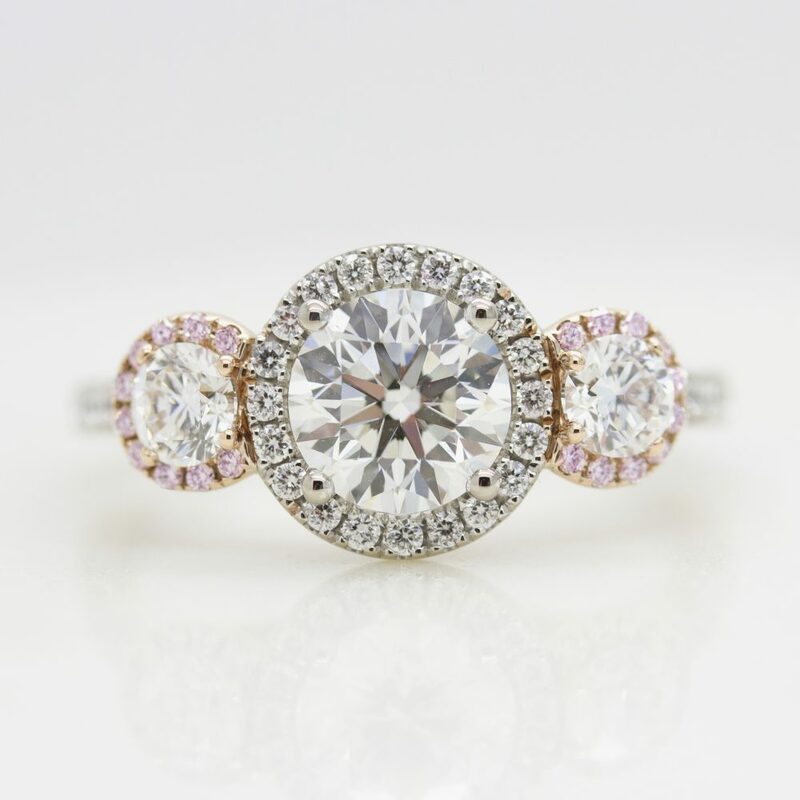 While round diamonds are a classic and traditional choice for engagement rings, this shape does not lend itself best to coloured diamonds as they don’t display the colour tones as well as a radiant or cushion cut diamond, for example. While coloured diamonds carry a price premium, a great way to feature them in your design is to use them on the band or in the halo. 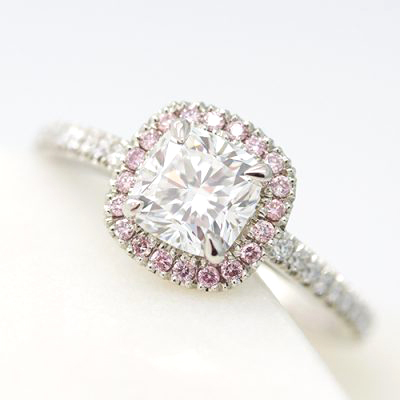 You can browse of our existing pink diamond engagement rings here. We do not use treated diamonds that are synthetically enhanced and heated to increase the appearance of colour. 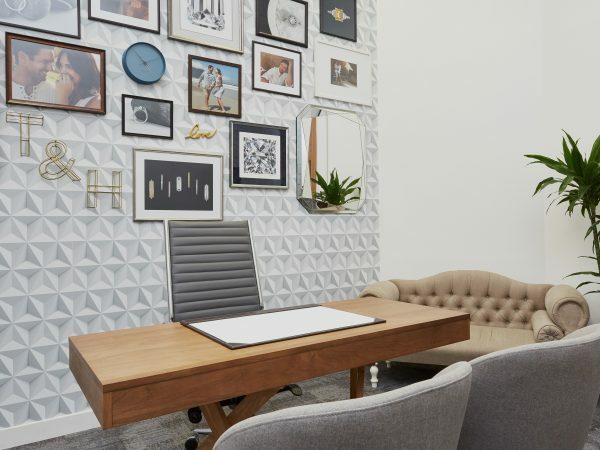 Like white diamonds, we do not use synthetically enhanced coloured diamonds because there simply isn’t as much emotional value in something that is created in a lab as there is in its rare and natural counterpart. Diamonds come in almost every colour you could imagine, but some hues are seen more often than others. For example, pink and yellow diamonds have a high demand and are mined at a higher rate than green, purple, orange or blue diamonds. Regardless, a coloured diamond is a rare and incredible item and their value increases over time. 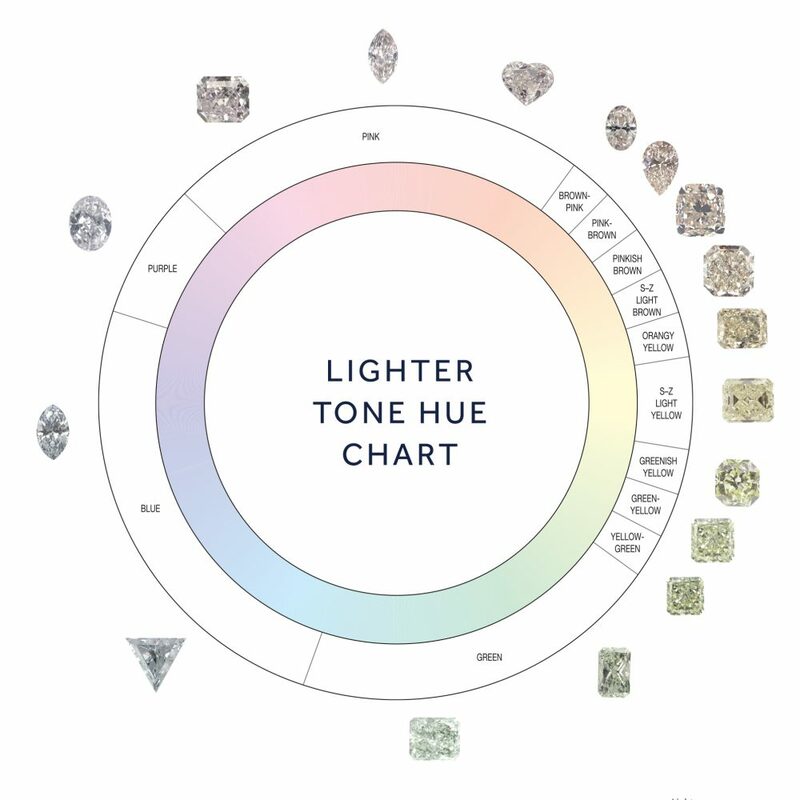 Coloured diamond grading terminology uses a combination of fancy grades and colour descriptions to define a diamond’s characteristic colour. Hue is the dominant colour of the diamond. It can be affected by the presence of ‘modifiers’ or ‘tints’, which are additional hues within a stone. 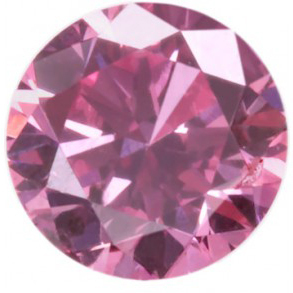 A diamond can be a single colour, such as pink, or it can have a secondary color, for example if a pink diamond had a purple tint, it would be described as a ‘purplish-pink diamond’. A single colour can potentially have multiple modifiers which are listed ahead of the primary colour in the colour description. 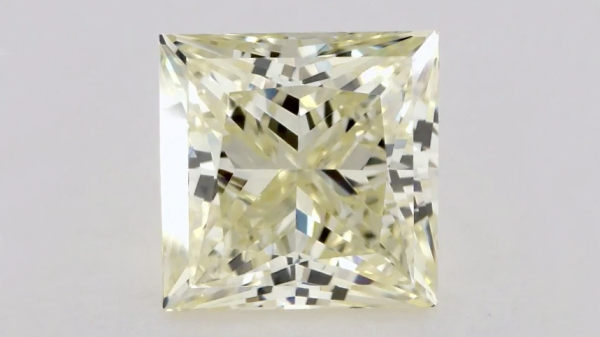 Saturation refers to the strength or intensity of the hue of main colour exhibited from the diamond. Saturation of diamonds with a lighter tone can range from ‘light’ to ‘intense’ to ‘vivid’. 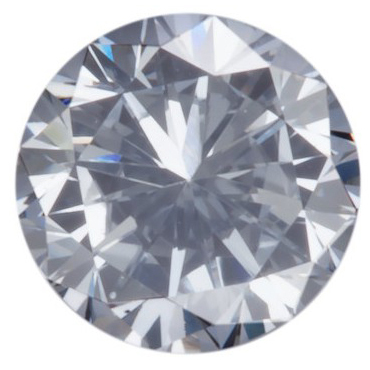 For darker diamonds, descriptions can range from ‘dark’ to ‘deep’. A good way to understand this is imagining a glass of red food coloring next to a glass with ⅔ water and ⅓ food colouring. The hue itself (red) has not changed, but the saturation would be more diluted, and lighter in tone. 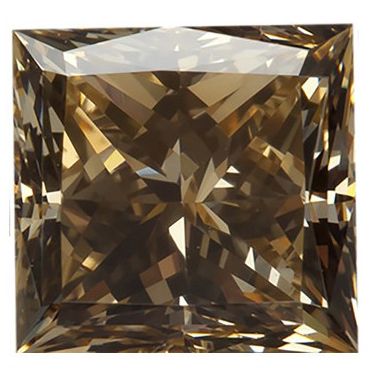 Tone refers to how light or dark the diamond appears. This is typically determined by how much brown, black, grey or white is present in the stone. Imagine the glass of food colouring. If you were to mix a little black food coloring with the red, its hue would still be red, the saturation would still remain the same, but it would be darker in tone. Origin: Describes whether the stone is a natural or treated colour. 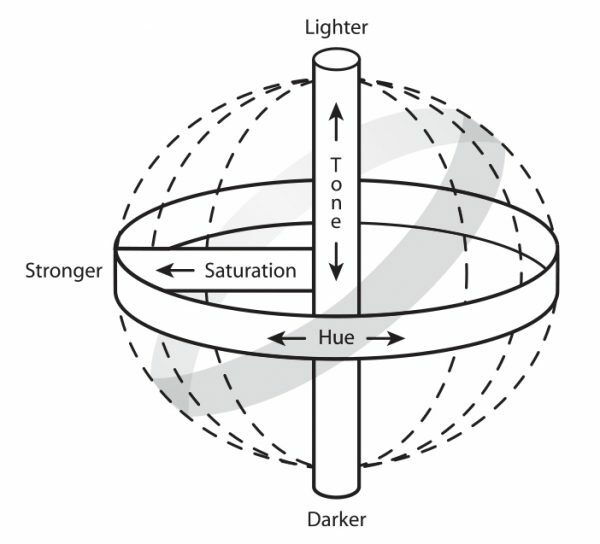 Grade: Hue, tone and saturation are all considered when grading colour. The GIA uses the following grades to identify colour intensity: faint, very light, light, fancy light, fancy, fancy intense, fancy vivid, fancy dark, fancy deep. 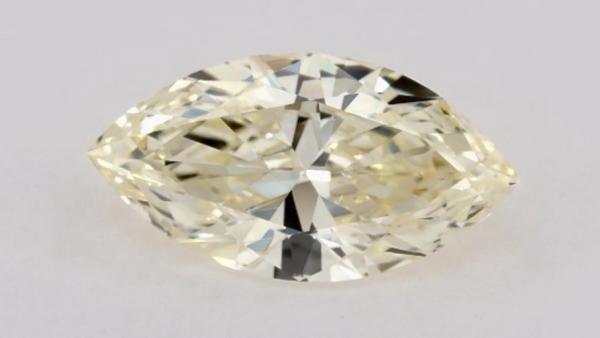 Distribution: Assesses how evenly spread the colour is throughout the diamond. The colour will be graded as ‘even’ or ‘uneven’ depending on how consistent the concentration of color appears. 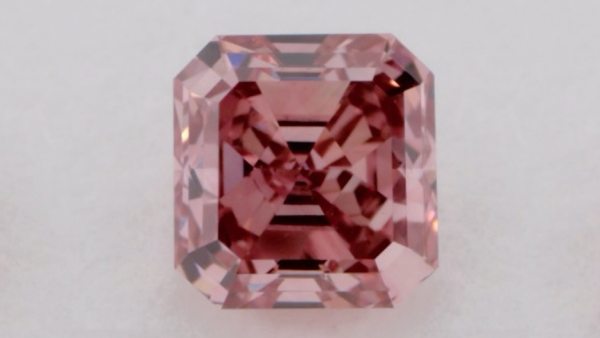 A fancy colour diamond of moderate tone will be assigned a grade according to its overall face up appearance. These grades are Light, Fancy Light, Fancy, Fancy Intense, Fancy Vivid, Fancy Dark and Fancy Deep. Colours do not reach high levels of saturation at lighter tones; nor does the eye discern as many colours at these locations in colour space. Therefore, fewer colour terms are used. The gray band on the illustration at right shows the relative locations of the samples on the chart. 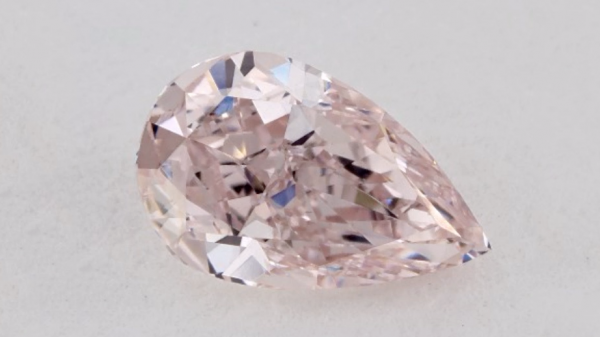 These diamonds often correspond to GIA colour grades of Light and Fancy Light. Coloured diamonds with a ‘Light’ grade do not reach high levels of saturation, as demonstrated below. 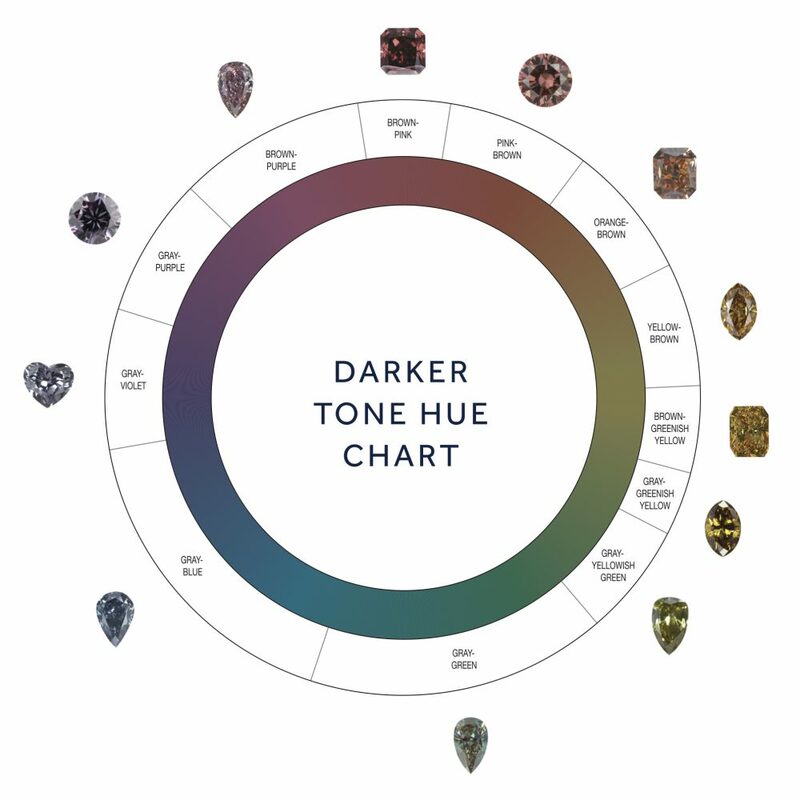 Coloured diamonds with a ‘Fancy Light’ grade also do not reach high levels of saturation, but they will exhibit a slightly darker tone or stronger saturation than a “Light’ grade. 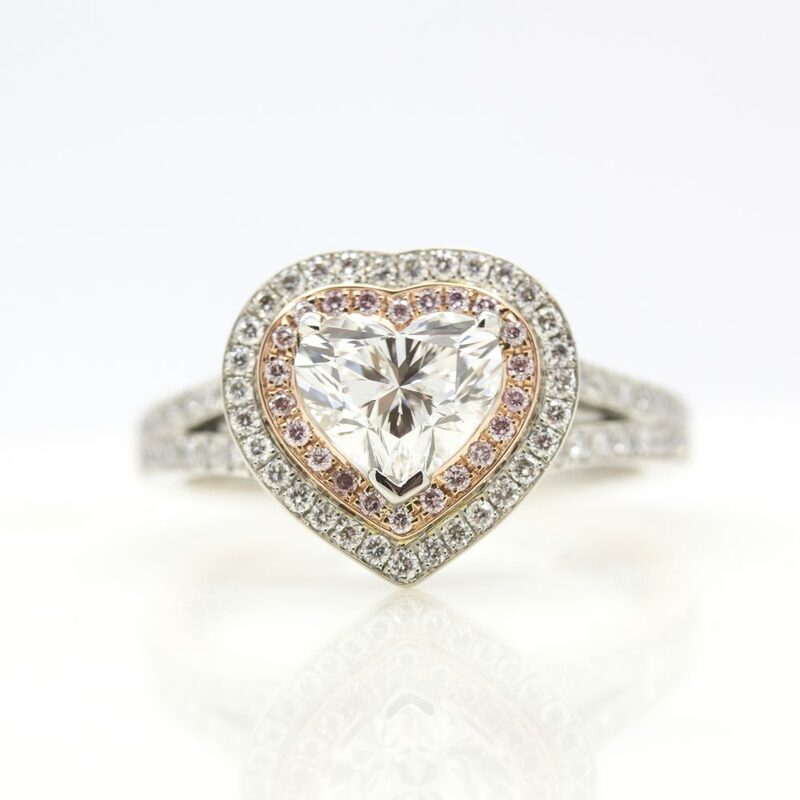 ‘Fancy Intense’ grade coloured diamonds have a lighter tone, with a significantly stronger colour saturation. ‘Fancy Vivid’ implies a relatively lighter tone with the strongest possible saturation. For “darker” colours such as blue, Fancy Vivid can only refer to a diamond with a fully saturated darker blue. ‘Fancy Dark’ diamonds have a darker tone with a relatively strong saturation of colour. 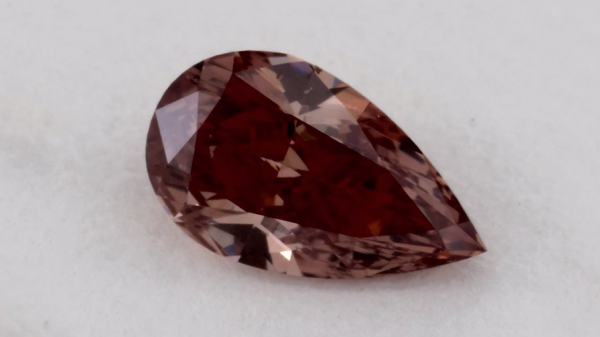 A diamond with the darkest tone and with some colour saturation is usually graded as ‘Fancy Deep’. Similarly to light-toned diamonds, dark diamonds do not reach high levels of colour saturation. Certain colours almost never come in saturations that would be called vivid. Blue diamonds for instance commonly have a grey modifier and the best appearance for blue is typically a darker tone. The Hope diamond is a Fancy Deep Greyish Blue. Many coloured diamonds feature a secondary colour that is visibly present. If the secondary colour is strong enough, GIA will add that modifier to the primary hue. 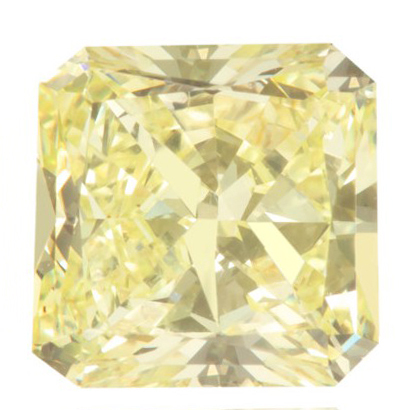 If the primary and secondary colour are virtually even throughout the diamond, these will be described using the two colours. For example, “Purple Pink. If the primary colour is dominant, the secondary colour will be described as “ish”, for example, “Purplish Pink”. Confusingly, the secondary colour precedes the dominant colour in the description, meaning “Purplish Pink” would indicate that the primary colour is pink, and the secondary colour is purple. 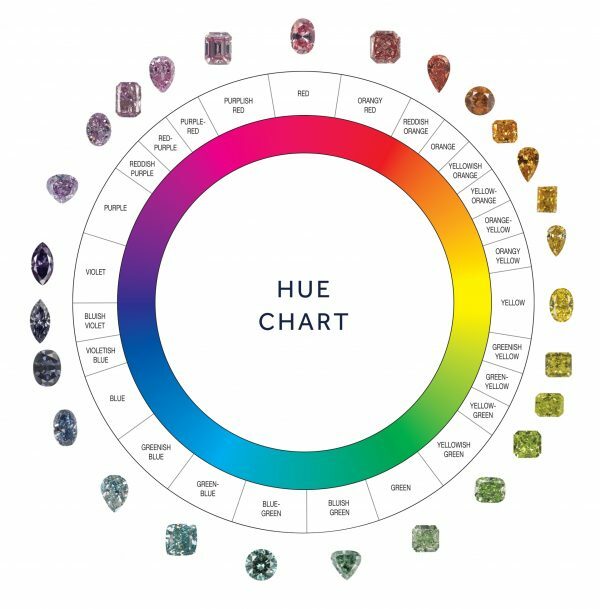 Since colour is such an important element in the desirability and market value of a fancy colored diamond, purity and depth of colour have a huge impact on the final price. Colour variations: Pink, purplish-pink, pink champagne, brownish-pink. Colour formation: The exact reason for their pink colour remains a mystery to experts. 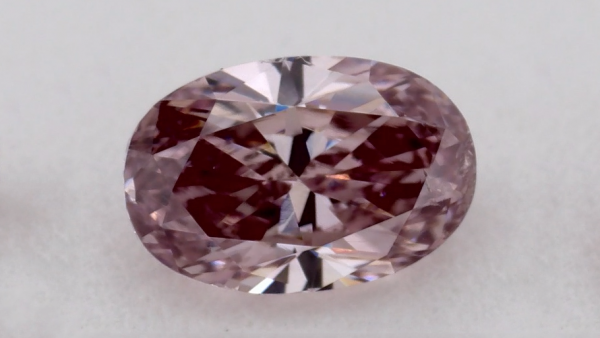 Geologists have speculated that a deformation in the atomic structure of the Kimberley region in Australia and resulting mineral caused the formation of pink diamonds. Meaning: Known to represent creativity, femininity, love and romance. 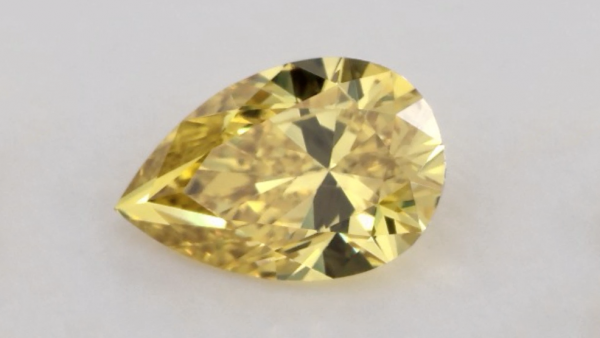 Colour formation: The yellow colour is caused by nitrogen present with the stone’s crystal structure. Usually, nitrogen atoms are replaced with carbon atoms which react with light to create a yellow colour. 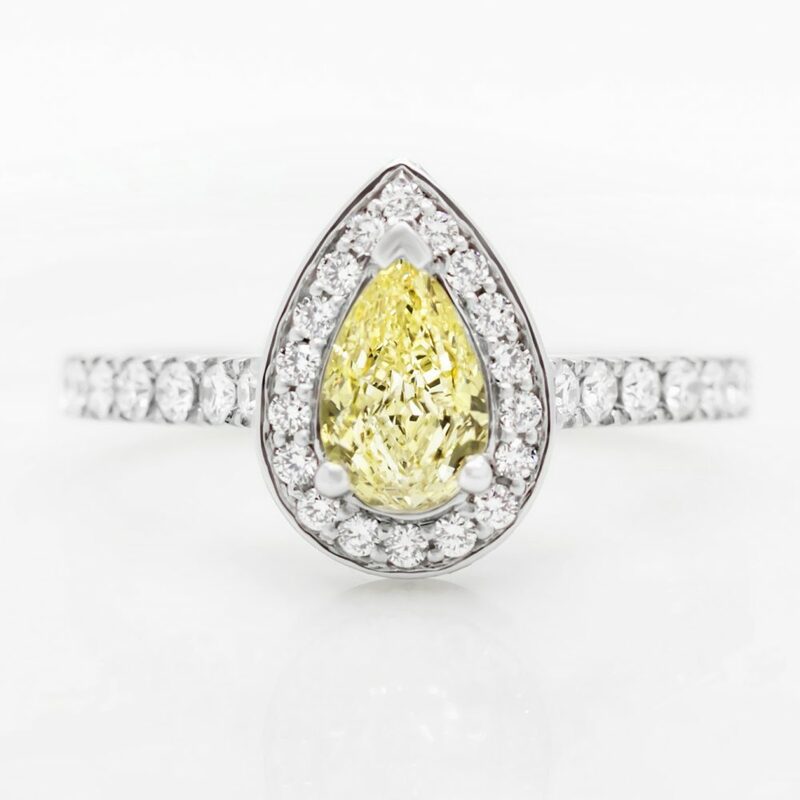 Meaning: Known for increasing self-confidence, yellow diamonds boost creativity and clarity of thought. Yellow promotes joy, happiness and prosperity. Colour formation: The blue colour is caused by the presence of boron atoms. The higher the concentration of boron, the higher the intensity of colour. Only one in 200,000 diamonds show blue, and far fewer display it in a deep colour, obvious to the untrained eye. Meaning: Often associated with elegance and sophistication, blue diamonds promote calmness and serenity, truth and purpose. Colour formation: The brown colour is caused by internal parallel grain lines. 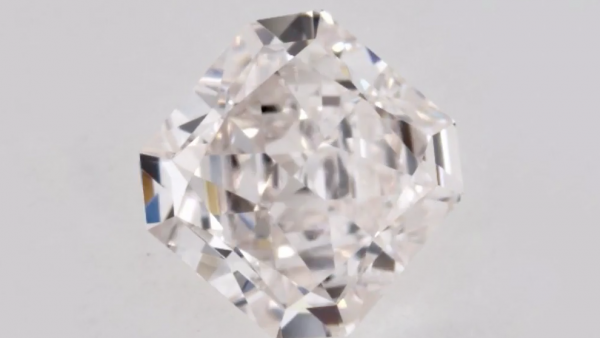 The hue can be modified by structural distortions in the diamond lattice which affect its absorption of light. 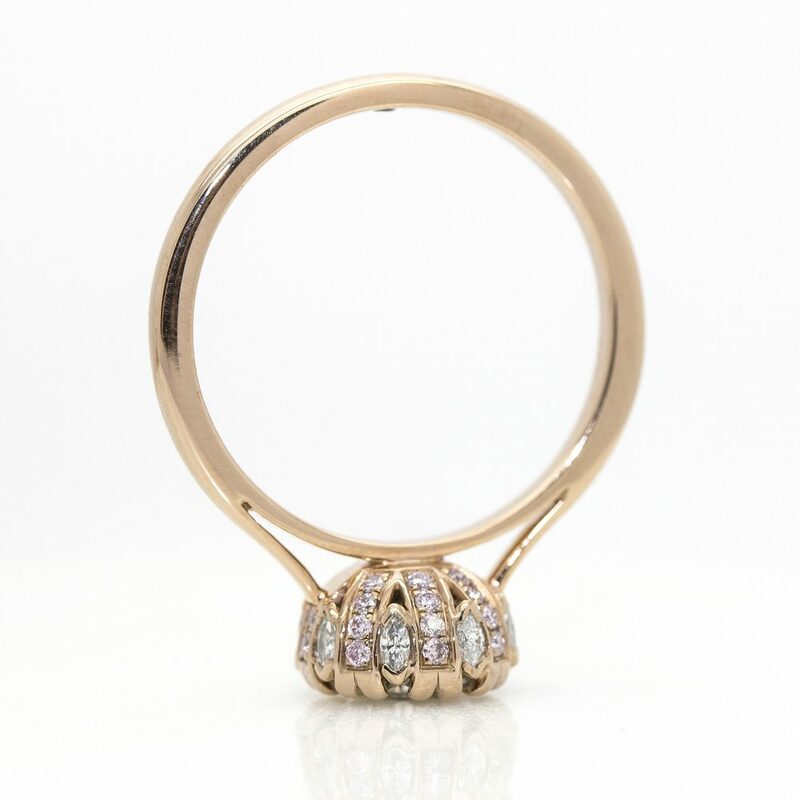 Meaning: Often connected with the earth and nature, brown diamonds represent harmony and tradition. Brown diamonds fit in with all aspects of life and express subtle elegance, whilst signalling harmony within a relationship. Colour formation: The green colour is due to millions of years of exposure to naturally occurring radiation. Occasionally the green hue may be as a result of hydrogen present within the stone. 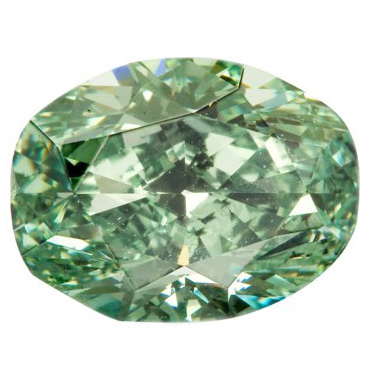 Meaning: Believed to embody the essence of life, green diamonds promote youth, vitality and balance. Green is also the colour of faith and truth and is often associated with loving and healthy relationships. Colour formation: The orange colour is a combination of structural deformities and the presence of nitrogen. 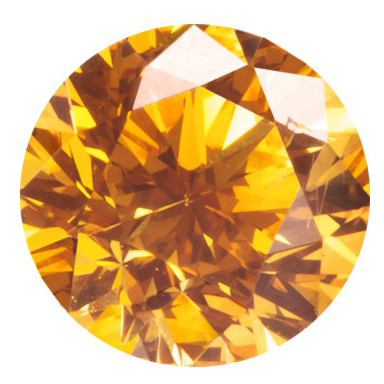 Meaning: Believed to inspired boldness, creativity, and productivity, orange diamonds are exotic and evocative. Orange is an emotional stimulant and is often linked to energy, self-respect and success within relationships. 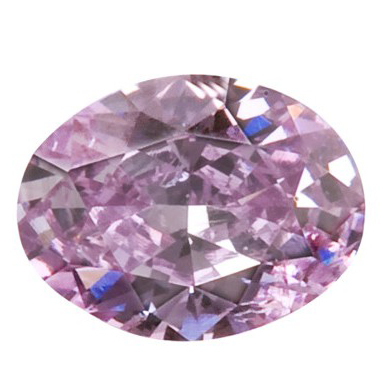 Meaning: A regal colour representing nobility and luxury, purple diamonds are through to bring their owner universal connections. It also brings guidance, inspiration, wisdom and inner strength as well as indicating a lifelong connection within relationships. 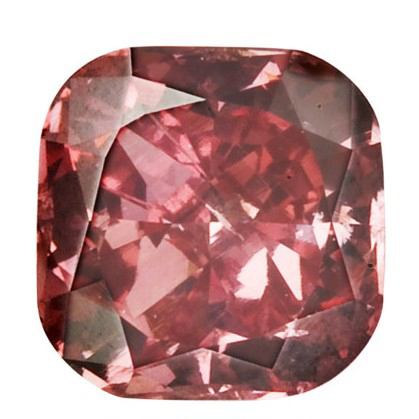 Colour formation: The red colour in diamonds is caused by the process of ‘plastic deformation’. This is when there is a slipping or distortion of the atomic lattice. Meaning: Symbolising passion and intense love, red diamonds are thought to inspire a magic that lasts a lifetime. As well as bringing good luck, red is known to channel power, energy and self-awareness. Colour variations: There aren’t strictly colour variations, there are no flashes of colour but white or grey inclusions make them very unique. 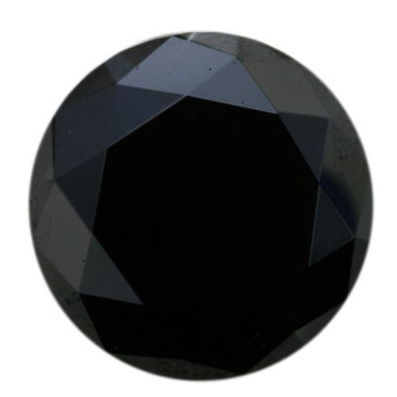 Colour formation: The black colour in diamonds is caused by many different graphite inclusions. Some stones have traces of nitrogen and hydrogen which can affect their colour. It is also believed that some black diamonds actually fell to earth as meteorites. Meaning: Symbolising strength and inner power, black diamonds are thought to bring the wearer the ability to face any adversities. Signifies belief in a relationship and the ability for the relationship to overcome all obstacles. 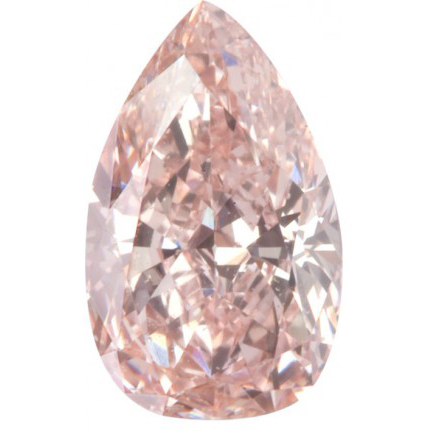 Natural coloured diamonds are extraordinarily rare and this is reflected in their price point. If you desire a colourful ring design, sapphires come in almost every hue. Emeralds and rubies are also known for their iconic shades of green and red. Precious gemstones serve as a wonderful alternative for coloured diamonds as in most cases, their prices are lower, while they still offer a colourful beauty. 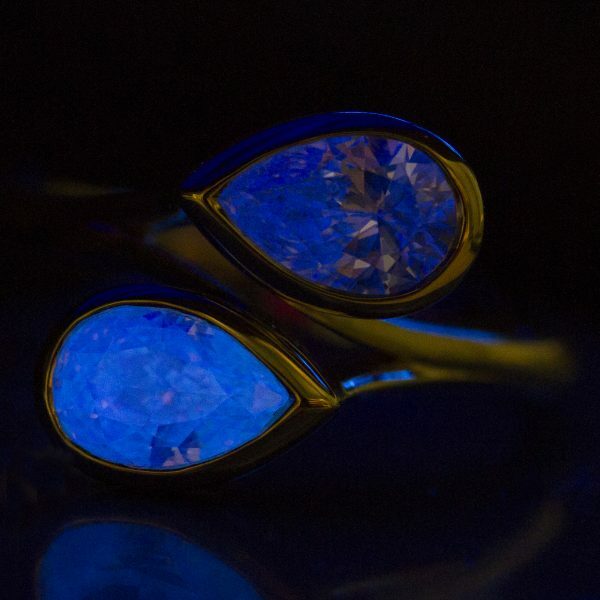 Fluorescence is a characteristic that refers to the effect of ultra violet light on the diamond. A UV light source will ‘activate’ the fluorescence and a diamond with a faint, medium, strong or very strong fluorescence will visibly glow under this light. The fluorescent glow will either be blue, green or yellow. 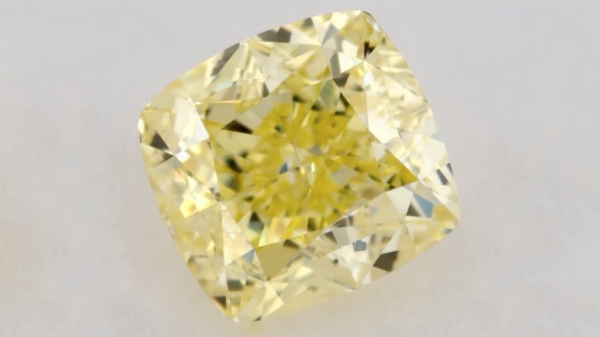 A diamond with a fluorescence grade of ‘none’ is referred to as “inert”. While fluorescence is often deemed undesirable, in most cases there is actually no adverse affect on a diamond’s appearance. Some even contend that in coloured diamonds, fluorescence can lift colour to the naked eye, enhancing its colour appearance.